Make everyday learning fun & engaging at your workplace. “To improve is to change; to be perfect is to change often” and we couldn’t agree more. After a long haul of brainstorming and revisions, AdaptiveU comes with a few new revisions. To get right to the point, we’ve unraveled a revised admin page for your free training platform just so that the ones on top stay happy and remain so. The revamped Admin page comes with a new look, more powerful functions and is primarily intended to accomplish all those stringent checks without moving to another tab or a separate window. Still figuring it out what the checks are? well, let’s take a trip down the brand new page and figure out the new additions and what they stand for. When you have multiple admins to assess a variety of responses, searching and segregating the response based on a criterion could be a mammoth task, or at least it used to be one. 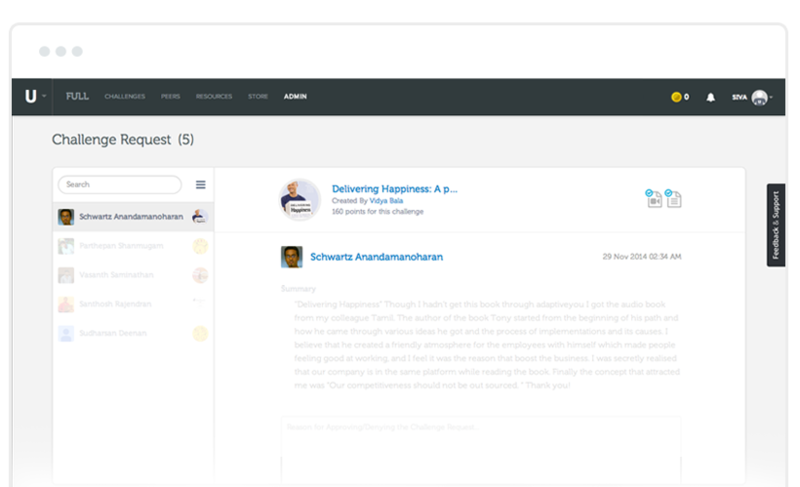 Now skim through the responses and choose a genre to begin the review process easily. The first improv is the all new search bar. 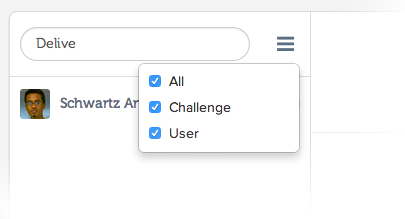 With this new feature, you can now search or single out a user based on the name of the badge, user or both from the list of submitted response awaiting approval. Spotting a needle from a haystack is possible and also the results are fetched much faster than before. Ever thought how easy it would be if there was a feature to just check what the contents of a challenge are? Yes, we thought about it too and behold, we’ve managed to chop of a chunk of the time you spend in figuring out the type of the badge. The second feature that we’ve got up our sleeve is the indicator icon(s) that appears at the top right corner of the response pane. This would help the admin in distinguishing between a video challenge from the non video ones. It also helps to check the content each challenge response holds. So that brings us down to the end of the feature tour. Well, we’ve got you some changes made so that you can try them out and let us know the what the voice inside your head says, we’re all ears! Get on out there and upload interesting courses for all those people who are eager to learn. Initiate a change and inspire education in the process. © 2019 Blog – AdaptiveU. Theme by Anders Norén.